ALA (including ALSC and YALSA) elections are happening NOW! I urge you to go forth and VOTE! This is your chance to make your voice heard in your organization, so do it! I know that the ballots can be a little overwhelming, so allow me to introduce a fabulous candidate for the 2017 Newbery Committee: Sarah Wethern. Sarah was kind enough to stop by and answer a few questions for me and you will see her on your ALSC ballot, so please give her your vote! 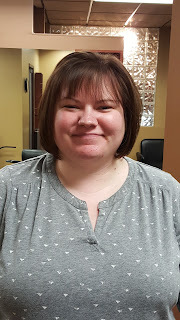 Sarah Wethern is the Youth Librarian at the Douglas County Library in Minnesota. She has been there five years. Previous positions include being a teen librarian in Colorado. She is currently serving on ALCS's Quicklists Consulting Committee and recently finished up a term on YALSA's Morris award committee. Sarah has three cats, one dog, and loves to read, watch TV, and bake in her spare time. Abby: Sarah, recently you were accepted for and attended ALSC's Morris Seminar. Tell us a little bit about your experiences there. Sarah: The Morris Seminar was a really positive experience for me. I was nervous because I felt like I was among the “elite” of the kidlit reviewing world but I did not have to worry. Everyone was gracious and more than willing to answer questions AND help us better explore how to talk about books, particularly with removing personal feelings from the equation. This is so very difficult to do and even after a few different committee experiences; when you love books, you want to tell people why and of course, feelings come into that. The Morris Seminar was really helpful in getting me to better articulate the positives and challenges about books. And perhaps the best thing of all, it was so great meeting librarians from across the country and getting the chance to learn and be inspired by them. The past couple of years have been particularly exciting for the Newbery Award as books in different formats (graphic novels and a picture book) have won Newbery Honors and the 2016 Newbery Medal. What do you think about these different formats being recognized? I am so excited that the Newbery Committee has been looking beyond the traditional chapter book format for its medalist and honor titles. It seems a natural extension of the different way kids are reading and learning now. The Newbery guidelines are just that, guidelines. The committees in recent years are clearly finding the guidelines open to interpretation and I think that will benefit this award now and in years to come. It opens the door for a wider array of authors and formats to be honored and put into the hands of kids. You served as a member of the 2014 Printz Committee; how do you feel that this experience has prepared you to serve on the Newbery Committee? YALSA’s Printz committee was my first professional committee work and it was daunting. It proved to be such a positive experience which I feel lucky to have had. I learned how to work within a committee to discuss books in a professional setting. It can be difficult to listen to that book you just love SO MUCH being put in a more negative light. But this is a necessary and important part of committee work. There is no hiding the challenges a book may present and if you ignore that, you are not fulfilling the work of the committee. I also feel like my Printz experience helped me better see the positives in books that I personally was not enjoying. And the fact is, whether I “like” a book or not plays no role in the committee process and figuring that out was quite the learning curve. What are some of your very favorite Newbery-winning books? Tell us why you like them. I have three Newbery books that are unforgettable to me. These are in no particular order because well, I just can’t choose a true number one. 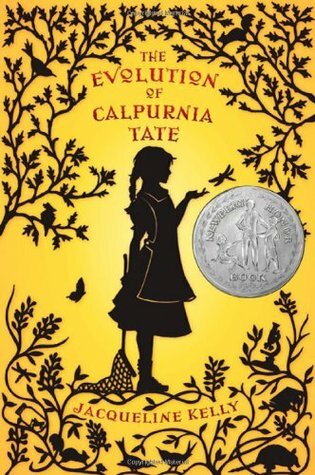 The Evolution of Calpurnia Tate by Jacqueline Kelly is one of my favorite honor titles. I love the science and nature aspects combined with the growth of Calpurnia. Her mind is alive on every page of the book and her questioning nature is exactly what I was like as a kid. This book breaks stereotypes and is just so well-written and lovely. 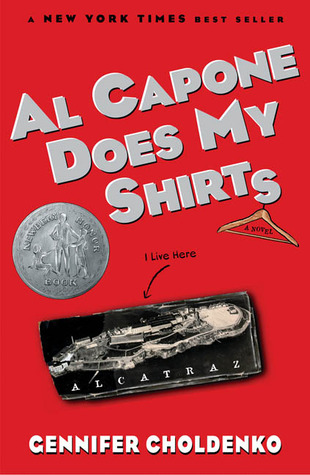 I love historical fiction and Al Capone Does my Shirts by Gennifer Choldenko (Puffin, 2004) is just amazing. I love handseling this series to kids. The setting drew me into the story. I’ve always been curious about Alcatraz and Choldenko does such a fabulous job of combining historical fact with an interesting plot and great characters. Every scene played out in my head like a movie (in fact, I’d love to see this book as a movie!). This is a fabulous honor book that truly embraces everything Newbery stands for. 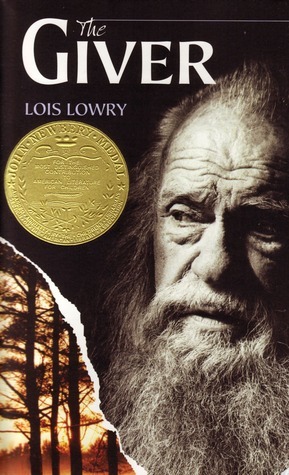 Lois Lowry’s The Giver (Dell Laurel-Leaf, 1994) is one of my most memorable reading experiences. I remember the first time I read the book, back in fifth grade, and being absolutely blown away by everything about it. It was so, so different than anything I had read at that point in my life. It felt revolutionary and to this day, I attach those feelings to The Giver. The decisions Jonas made and how it played out, and THE ENDING and how open it was. That was breathtaking for me as a young reader. And while nostalgia plays a large part in how much I love this book, it is still one I re-read every year. Reading experiences like The Giver do not come along all that often in life! Some of my other favorite Newbery titles include From the Mixed-Up Files of Mrs. Basil E. Frankweiler by E.L. Konigsburg, Bomb: the Race to Build--and Steal--the World’s Most Dangerous Weapon by Steve Sheinkin, and The Cricket in Times Square by George Selden. Sarah, thanks so much for stopping by today and sharing with us! Many thanks to Abby for hosting me on her blog! I hope you will consider voting for me in the upcoming ALA elections.